Projector mount offers a low-profile, aesthetic design. Universal interface offers compatibility with most projectors. Independent roll, pitch and yaw for quick, precise projector registration. 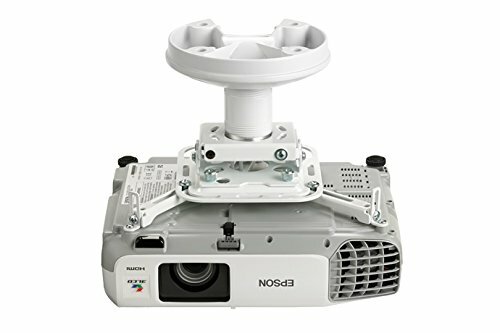 Quick connect/disconnect with convenient lamp and filter access on most projectors. Multiple installation options, including flush mount to the ceiling or use with a 1 1/2quot; NPT column. Accessory Type: Projector Mount Kit For Use With: Epson Power Lite Home Cinema 1040, 1440, 2000, 2030, 2040, 3000, 3500, 3600e, 4770W.